The Office of Connected Care brings VA digital technology to Veterans and health care professionals, extending access to care beyond the traditional office visit. 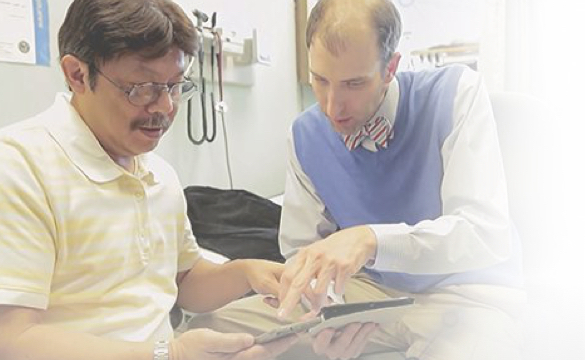 Through virtual technology, VA is able to deliver care to patients where and when they need it. Become an active participant in your own health care. My HealtheVet allows Veterans to refill prescriptions, message their care teams and access their personal health record online. My HealtheVet is VA’s online personal health record. It was designed for Veterans, active duty Servicemembers, their dependents and Caregivers. My HealtheVet helps you partner with your VA care team. It provides you with opportunities and tools to make informed decisions and manage your health care. Specific features in My HealtheVet are available to you based on your account type. If you have a Basic account, you can use the multiple health tracking tools, record information in your personal online journals and health history records, access the medical libraries, the HealtheLiving Assessment (to determine your Health Age), mental health screening tools and more. If you are a VA patient, you can also upgrade your account to Advanced or Premium. If you are enrolled in VA health care and have an Advanced account, can refill your VA prescriptions 24/7. For your security, some features of My HealtheVet require a Premium account. To obtain a Premium account, you must complete a one-time authentication process. If you have a Premium account, you will have full access to all the features available in My HealtheVet, including Secure Messaging. 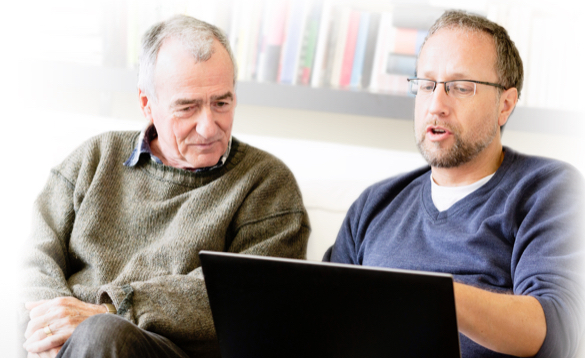 Secure Messaging allows you to communicate online with your VA care teams and other staff. Additionally, as a Premium account user, you will have access to key portions of your VA medical record, such as VA Notes, VA Lab Results, VA Appointments as well as additional health information through the VA Blue Button. Access the right care in the right place at the right time. VA Telehealth Services improves convenience to Veterans by providing access to care from their homes or local communities when they need it. VA Telehealth Services provides clinical care in circumstances where distance separates those receiving services and those providing services, with the goal of providing Veterans with the right care in the right place at the right time through the efficient, cost-effective and appropriate use of health information and telecommunications technologies. 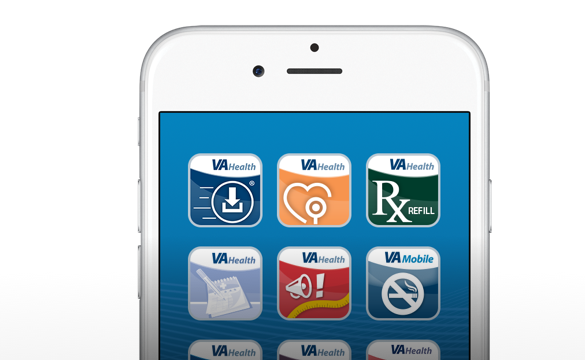 VA Mobile develops mobile solutions, such as the VA App Store and mobile health apps, that offer safe and secure access to patient data while on-the-go. VA Mobile aims to improve the health of Veterans by providing technologies that expand clinical care beyond the traditional office visit. VA mobile apps are developed for both Veterans and VA care teams, offering safe and secure mobile access to patient data, and providing more opportunities for Veterans to be active participants in their health care. VA Mobile underscores VA’s commitment to transform the way care is delivered and to improve health care coordination between Veterans and their care teams. VA recognizes that mobile health is emerging as an essential element of health care, and is dedicated to providing the most up-to-date technologies to enhance patient experiences. Follow innovative ideas from the field designed to enhance VA care delivery. The VHA Innovation Program collects new and innovative ideas from VA employees and industry professionals to enhance VA care delivery. The VHA Innovation Program finds, develops and creates solutions to help VA provide the best care. VA employees, external academics and private sector entities share health care ideas with the VA Center for Innovation (VACI) and the VHA Innovation Program for review and development. Projects began development in 2014 across three VHA Innovation Program portfolios: Grassroots, Strategic and Laboratory. Find information about what is in development on the Deployment page.